The fleet tracking devices are ideal for monitoring a car or an entire fleet. The GPS fleet management system consists of automatic tracking hardware and software for collecting data. The active tracker and the passive tracker active tracker and the passive tracker collect the data in the same way and are equally accurate. The main difference between the two types of gps fleet tracking devices is time. 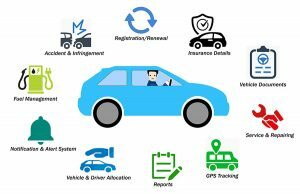 Active trackers are also known as “real-time” fleet tracking devices trackers because they send data over satellite or cellular networks to instantly indicate vehicle location. The computer screen can display the movement of the vehicle in real time. Therefore, if companies want to improve delivery efficiency and understand the on-site driving situation of employees, then active tracking is the best choice. Passive trackers are cheaper, but data storage is limited, but they are smaller and easier to hide. Passive fleet GPS tracking devices trackers store information on the device instead of sending data to a remote location. This fleet tracking devices tracker must be taken off the vehicle and connected to the computer to view the information stored in it. No matter which type of fleet tracking devices tracker, it is portable in nature and has a relatively small form factor. Battery power is therefore required, as well as a backup function to save data in the event of a power outage. Since charging a battery (usually a single-cell Li-ion battery) requires a higher automotive system voltage and a larger current, a switch-mode charger is desirable because of the switching mode charger charging efficiency compared to a linear battery charging IC. Higher, less heat is generated in the form of power consumption. The adoption rate of car and GPS fleet management system is rising. 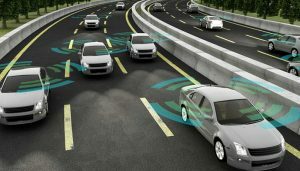 Modern fleet tracking devices trackers are shrinking in size and capabilities, including active data transfer to support real-time tracking. In addition, backup functions and lower voltages are used to power the GPRS chipset in the system.